But. What’s most important about a carrier is how it feels. So before I spent money on yet another carrier (hey, I only have seven; that’s not too many, right? ), I wanted to try it on. Because I already bought a Beco Butterfly mostly because of the way it looks. 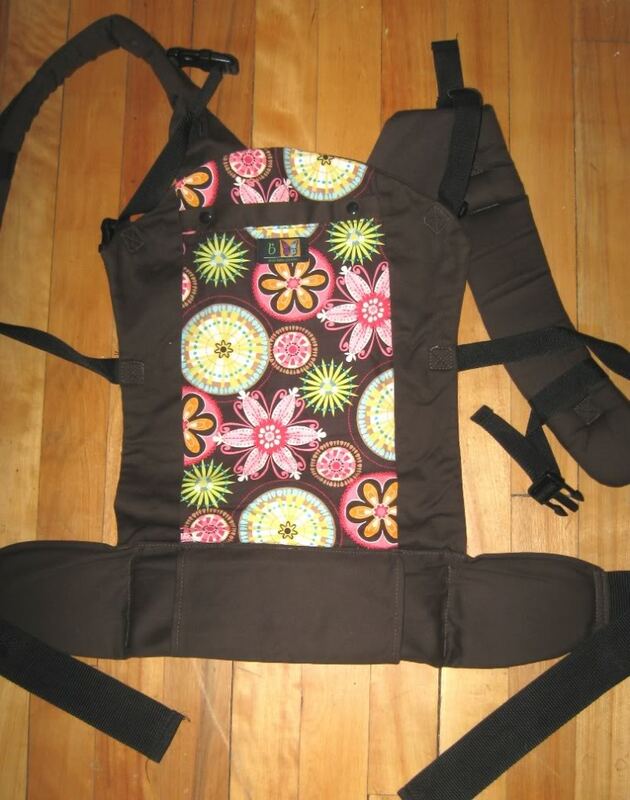 And although I really loved it for a while (and it taught me how to do a back carry, something none of my babywearing expert friends were able to do), it’s nowhere near as comfortable as my plain, boring-looking Ergo. So now I wear my Ergo every day, while my Beco languishes unused on a hook. Leading me to the conclusion that I need a different carrier to be my back-up carrier (so I can, you know, wash the Ergo every once in a while). Hence my interest in the Boba. And like I said, everyone is talking about the Boba lately. Talk to pretty much any babywearing expert, and they’ll tell you how much better the Boba is than the Ergo. Some of the comparisons, like this one at Portable Baby, had me just about convinced to buy one sight unseen. But since I have a friend who already bought one, I figured I would try it on first. And it took me about three seconds of wearing Teddy on my back in the Boba to discover that I like the Ergo better. The darker strap in front is my friend’s new Boba 3g; the lighter, faded strap in back is my well-loved Ergo. 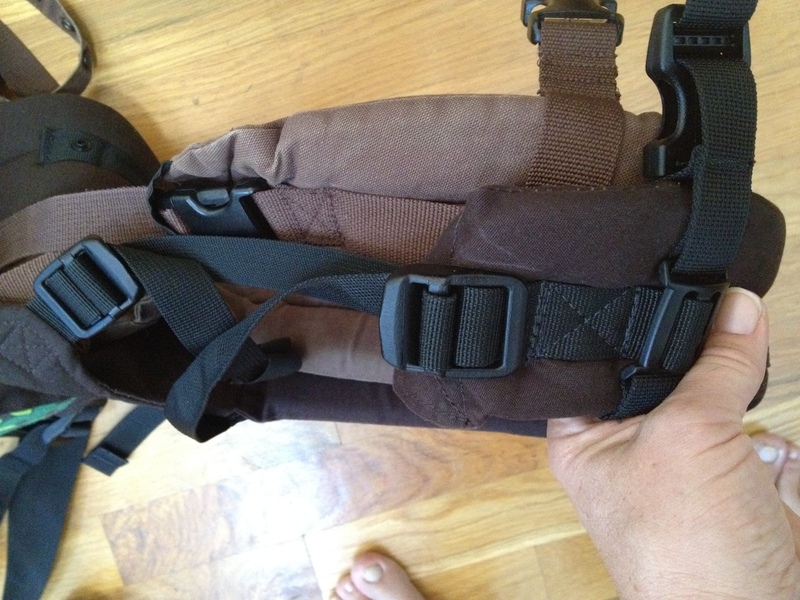 But as you can see, the padding in the Ergo strap is several inches longer than the Boba. — and this is the reason I don’t like my Beco. The padding is just too short. It’s fine when I wear the baby in front, but when I put him on my back, the padding barely reaches past my shoulders, and the buckles cut into my arms. Whereas the longer padded section on the Ergo easily reaches past my body, so they straps don’t cut into me at all. And that feature alone makes it so much more comfortable that I can’t in conscience consider buying a different carrier. Because no matter how pretty it is, I know I’ll never wear it. And the difference between the Boba and the Ergo is even longer than the difference between the Beco and the Ergo. Which I guess means I’ll be selling my Beco to fund a back-up Ergo. Instead of a Boba. Which is sad, because Ergos are just not as pretty. Sigh. I wish the Ergo had prints. With birds and stuff. My other option is to get a custom-made carrier. My friend Kate of Mother and Bebe makes lovely full-buckle mei tais. I haven’t tried one on yet, but I have hopes that I’ll like it. And she told me she could make the shoulder padding as long as I want it. And her prints are nice. Some of which have wings. Or dragons. But no birds. But she would probably let me buy my own fabric for the print if I want. I just wanted to comment that there ARE pretty printed Ergos 🙂 There are Petunia Picklebottom brinted Ergo bags and they are adorable! I haven’t gotten one yet but I really want one. They sell them at our birthing center Palms Birth House but they may be listed online under Amazing Births and Beyond. Or they are probably on the Petunia Picklebottom website. Just thought I would share! I am a die-hard Ergo-er simply because of the shoulder straps. It’s so comfy that I barely even feel her even after long stretches. But I understand so well wanting a “pretty” one. That’s how I ended up with one of the FEW (almost-100%-sure-it-is) legit and pretty Ergos on eBay. There are a lot of counterfeits being sold on there that are not equal quality, even some that are touted as “used” but are actually fake. After days of research, I bought mine. It was ridiculous. But I REALLY wanted the blue embroidery one that you’ve seen me in every time you’ve seen me. It’s a discontinued design from a few years back. I scrutinized every last detail and had her send me pic after pic to make sure I was getting the real deal. It’s held up too well not to be, I think. What about a plain one and then dressing it up yourself with some simply sewn fabric panels? I was going to do that if I couldn’t get the one I wanted. By all means customize your beloved Ergo with a print. How hard can that be? 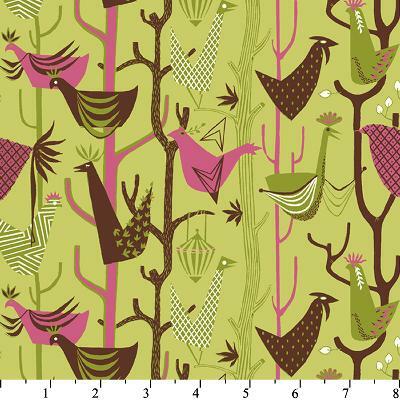 Get the birds – tweet, tweet, so cute! Thank goodness, I thought it was just me! I did exactly what you didn’t – I heard great things about the Boba, couldn’t find one, so I went ahead and bought one without trying it on. First time I put baby in it, the buckles cut into my arms and were unbearable within 5 minutes. I’ve been trying to readjust the straps for two weeks, convinced that I must be wearing it wrong, since everyone else’s SSCs seem to be effortlessly comfortable. 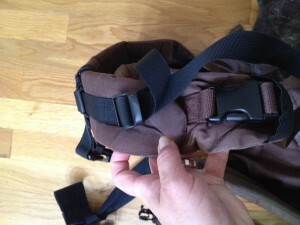 I’ve been brainstorming ways to fix it, but the picture of the Ergo straps being 3″ longer seals the deal. I’m going to have to get an Ergo. Have you seen the options carriers? I’m not a fan of the fabrics, but I realized that I could buy the options carrier and then choose a new fabric to sew on to the snap cover. Super simple, and completely custom! Bonus: The patterned cover unsnaps and then my hubby is willing to wear it (all black). Yes, and I had the same thought since I don’t like their fabrics much either! But that would involve, you know, sewing. Cotton bags is a great alternate for plastic bags. Cotton bags are made from 100% natural cotton fibers thus are eco friendly. They can be reused again and again. Thx. This clears up my curiosity of if the Ergo was right for me. Thanks for your review! I have an $85 wring sling and it worked okay when my baby was tiny, but I never really like it. The woman at the store pressured me to buy it over the Baby K’tan, which I feel I would have been happier with. DD is now 5 months old and 13 pounds and I feel very uncomfortable with the sling like she is going to fall out. I can’t seem to get it right and it hurts my shoulder and back after a short time. 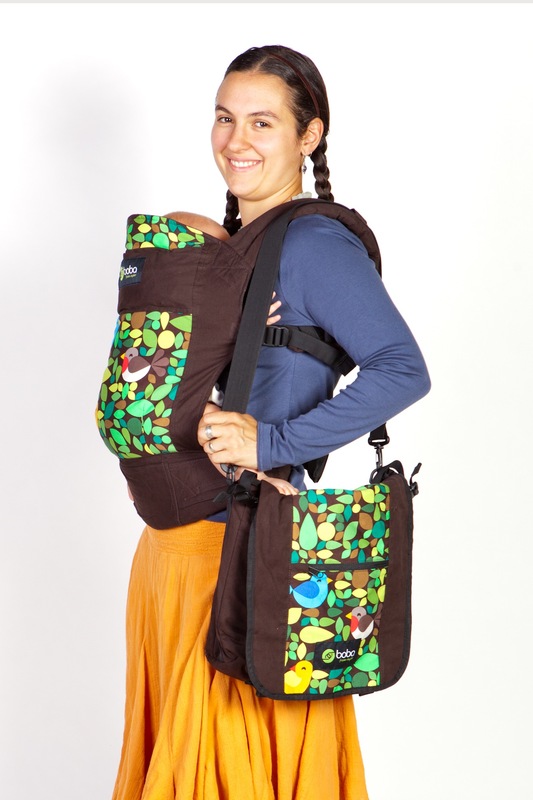 I am torn between all these carriers and am leaning toward a Beco, Boba, or Angelpack because I read elsewhere that the Ergo is not great for petite women. I am 4’11” and back to my pre-preg weight of 96lb and am completely confused now. I feel like I wasted $85 on a useless wrap and would like to get the next carrier right on the first try. 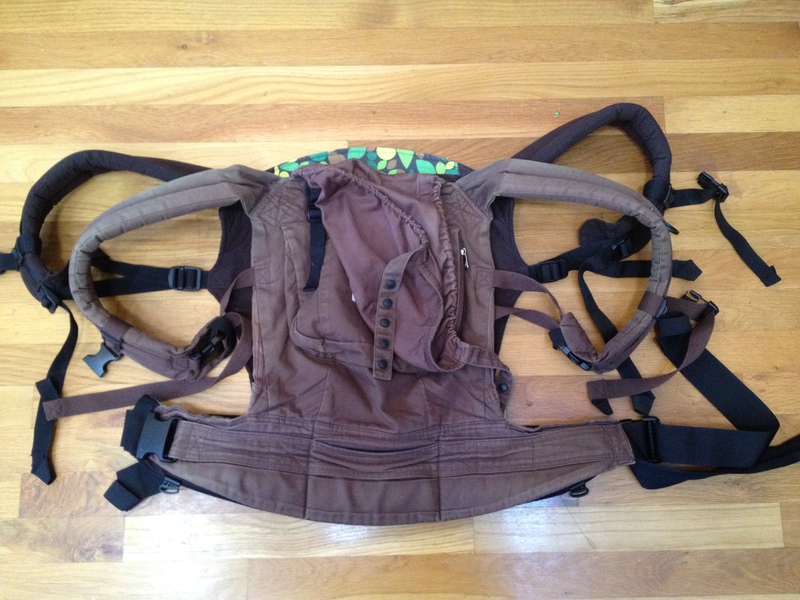 Do you think the Beco or Boba (or other carrier) would be better suited for me? I am thinking the shorter padding on the straps won’t be an issue for me since I’ll have it on the smallest setting, but I could be wrong. My guess is that you’re right — I’ve heard the same thing that the Ergo isn’t as good for petite women. But your best option would be to try them on! Is there anywhere you can see them in action and try them with your baby? If you’re in Atlanta, I highly recommend you go to an Atlanta Babywearers meeting and try on all the ones you’re considering. Email them first and ask if they can bring the carriers you’re wondering about. If you’re not in Atlanta, check out Babywearing International and see if there’s a chapter near you. I am in Dallas and I checked the website and cannot believe there is no chapter here! I know of a store that specializes in carriers and cloth diapers, but that is the store that pressured me to buy the sling when I really wasn’t comfortable with it to begin with. It’s my fault for buying it, but I trusted her when she said I would be more comfortable with it over time. I am wary to go back there and get more bad advice. Shannon, it looks like there are a couple of babywearing groups in Dallas, though! Check out this list: http://wrapyourbaby.com/babywearinggroupstexas.html. I hope one of them is convenient for you and can help you out! If all else fails, you can also ask around to find a friend who could let you try carriers on.